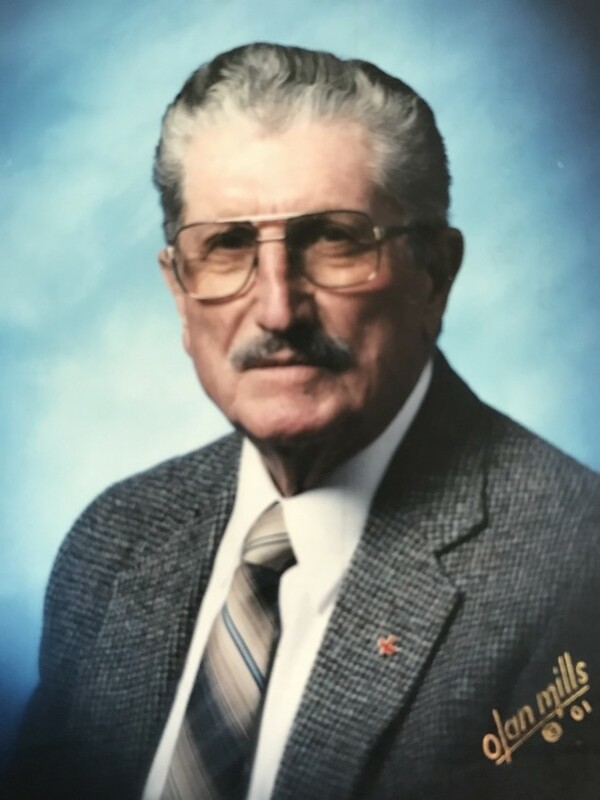 Louis J. Normandin, 91, Olathe, formerly of Hays, died Friday, April 13, 2018 at the Good Samaritan Society of Olathe. He was born February 20, 1927 in Damar, Kansas the son of Norman C. and Irene (Benoit) Normandin. He was a graduate of Damar High School then served in the U.S. Army during World War II. He earned his bachelor’s degree in Elementary Education from Benedictine College and went on to be an elementary school classroom teacher for 31 years for Hays USD 489. On February 1, 1964 he was united in marriage to Irene M. (Augustine) Lambrecht. They celebrated over 54 years of marriage. He was a member of St. Joseph Catholic Church, the VFW, the Third Degree Knights of Columbus in Olathe and the Bishop Cunningham Fourth Degree Knights of Columbus. He loved fishing, hunting, and spending time with his family. Survivors include his wife Irene of Olathe, a son; Brian Normandin and wife Tonya of Olathe, a stepdaughter; Carmie Ferland and husband Don of Marlow, OK, four brothers; Eugene Normandin and wife Helen of Colby, Alfred Normandin of Poquoson, VA, Donald Normandin and wife Linda of Damar, and Richard Normandin and wife Mallone of Hays, two sisters; Jeannie Bellerive of Plainville and Della Huhmann of Tuscumbia, MO, two sisters-in-law; Lavonne Normandin of Plainville and Joanna Normandin of Hays, four grandchildren; Nickolas Normandin, Ty Normandin, Lance Ferland and wife Cami, and Joel Ferland and wife Mindee, and five great grandchildren; Tyler, Macy, Ivy, Trevor and Luke. He was preceded in death by his parents, two brothers; Duane and Melvin, a sister; Mary Ann Meyers, and a step-daughter; Janelle Bryant.